This month I was challenged for the Stroke of Luck column, to put together a list of the top 5 golfing gifts that you could give any avid golfer on a special occasion. The assignment was pretty simple and stated merely that I may not include clubs or golf bags. So with that understanding out of the way, here we embark on the top 5 golfing gifts. Throughout South Africa are some of the bests golf courses in the world. 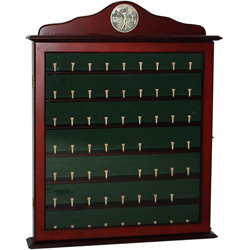 So what better way to celebrate having played at an essential golf course, than getting the club golf ball and adding it to your display cabinet. You can get these in a range of sizes to cater for golfers like amateur hacks to professional tour players. Here is one for R950 on Want it All. Ben “The Bounce” Karpinski is an avid golfer and his blog The Bounce covers a fair amount of golf. In recent times The Bounce has added some interesting items to the online shop. 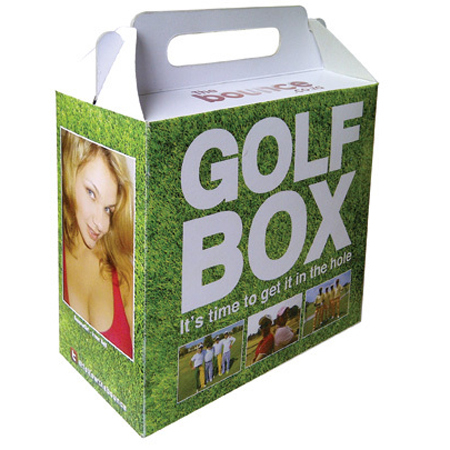 And while the Beer Pong kit will be a winner, the Golf Box is a great gift to give to someone and the box itself will develop a fair share of interest itself with the Bounce Girl Irene Nell. I found this out at my office this week! The Golf Box costs R150 and can be found here. The one thing that is frustrating when you are at work, is the inability to leave the office and go smack a few balls on the range or sneak in 9 holes. Of course work is also the perfect time to practice the short game and The Best Putt is the perfect tool to assist with this. Of course you could unload this in the office and start off an office version of the Ryder Cup to rival the real thing or just take a coffee break to practise. 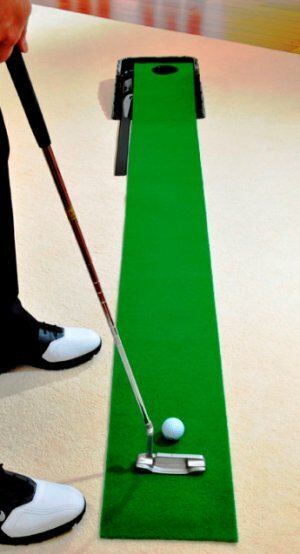 You can get The Best Putt at the Golfers Club for R430. Which club should you use, the 7-iron or the 8-iron. A conundrum faced by many amatuer golfers over the years. One of the best inventions in golf has got to be a range finder GPS Watch. I was fortunate enough to play with one of these and the ability to know that you are 150 out made club selection a lot better. I recommend the Golfbuddy Voice Plus Pro from the Pro Shop for R 2100. Because the weather is as predictable as an Arsenal performance, there are some days that you just cant get out on the course. For these days you shouldnt be denied the opportunity to blast one down the fairway, to sink a 30-foot putt or to win the Masters (Okay that doesnt happen in real life), Tiger Woods Golf allows you to still enjoy the awesome game rather than not. 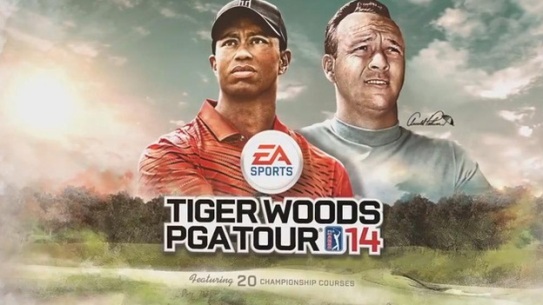 The gameplay is great and you can even play as Tiger in a match against Sergio Garcia. You can get it the 2014 Version of the game for R599 at CNA.